PHOTO - Feature your team with an executive, high-end design. 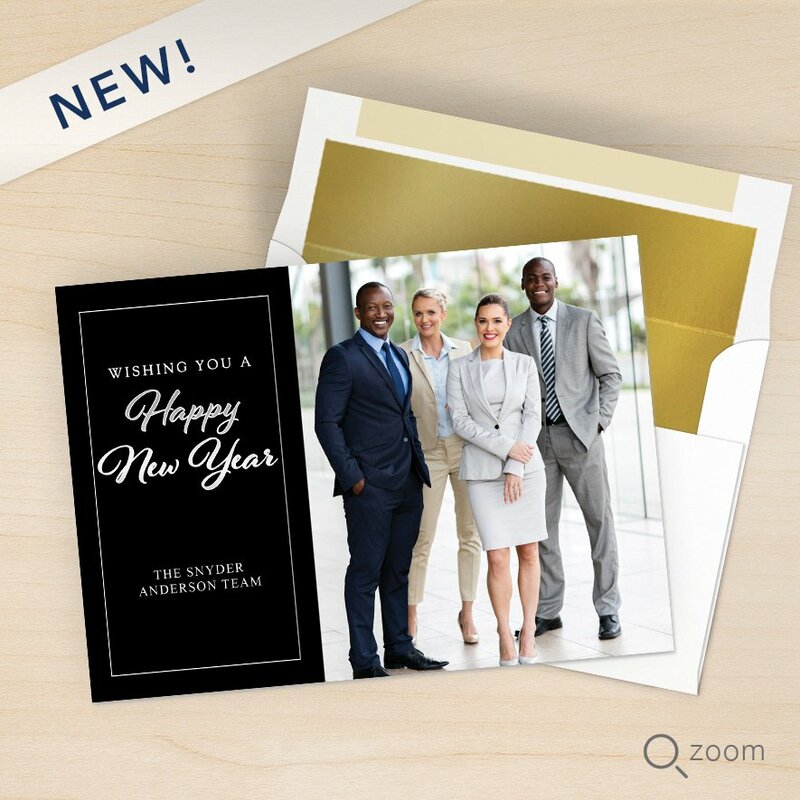 Add a photo to the front of the card and a custom message. 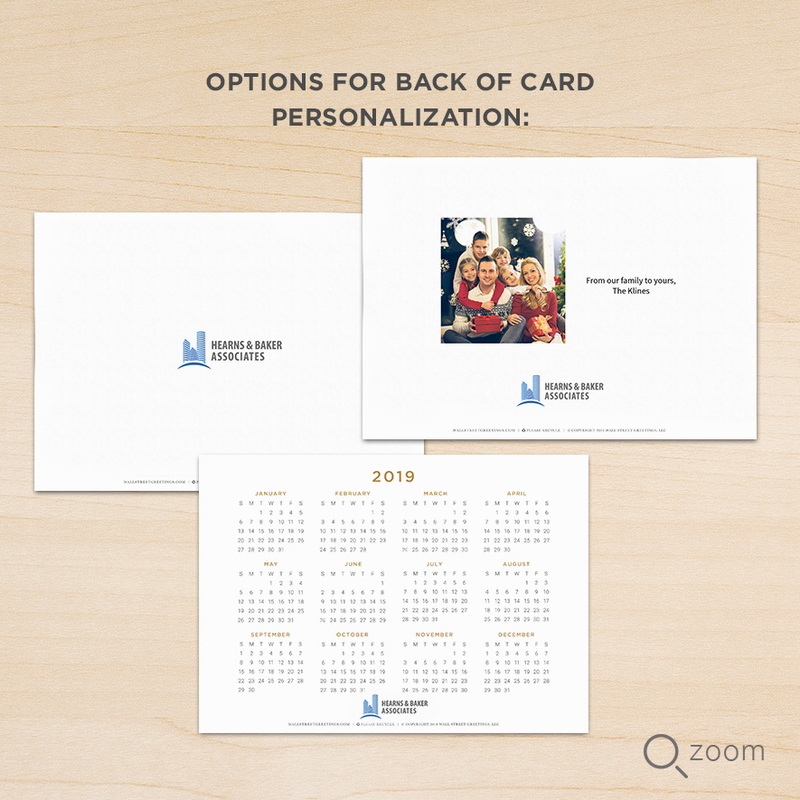 Include additional personalization on the back of your card by choosing one of the options below. 5" x 7" flat card printed on a 100# Eggshell Ultra White Cover stock. Horizontal flat card, size 7”x 5”. Printed on 100# Eggshell Ultra White Cover stock. Price per card includes size A7 silver foil-lined envelopes. Made in the USA.